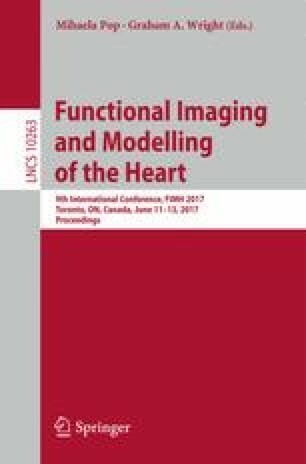 The main challenge of electrocardiography is to retrieve the best possible electrical information from body surface electrical potential maps. The most common methods reconstruct epicardial potentials. Here we propose a method based on a parameter identification problem to reconstruct both activation and repolarization times. The shape of an action potential (AP) is well known and can be described as a parameterized function. From the parameterized APs we compute the electrical potentials on the torso. The inverse problem is reduced to the identification of all the parameters. The method was tested on in silico and experimental data, for single ventricular pacing. We reconstructed activation and repolarization times with good accuracy accurate (CC between 0.71 and 0.9). This study received financial support from the French Government as part of the “Investments of the Future” program managed by the National Research Agency (ANR), Grant reference ANR-10-IAHU-04. This work was granted access to the HPC resources of TGCC under the allocation x2016037379 made by GENCI.